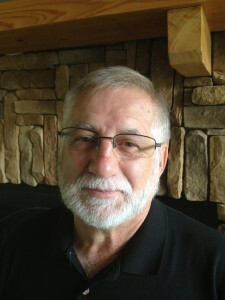 Bill Seymour, owner and founder of Carolina Diversified Builders and Carolina Log Center. It’s no secret the housing market faced challenges. Indeed, many home builders in the Carolinas did not survive the slowdown. But Carolina Diversified Builders is still going strong. I still love this business as much as the day we broke ground on our very first home. We have been fortunate to weather the housing market downturn, largely because of the modern technology we use in construction. It allows us to have a low overhead, yet offer cutting edge designs on today’s high performance homes. As a result, we pride ourselves on for changing the way new homes are built in the Carolinas. I would love to say our success was all due to me being brilliant entrepreneur. But the truth is, when we got into this business nearly a two decades ago, we researched all our options for delivering beautiful homes at an affordable price. No matter how we sliced and diced the data, modern building systems deliver a new home, faster and with better quality, than site building the old fashioned way, stick-by-stick. Homes are crafted in sections in a state-of-the-art factory. Then delivered to your building site, where we can have the home weather tight in as fast as one day. This reduces the chance of damage from weather or theft. I found these modern building systems to be energy efficient and green as well. As a Certified Green Builder, I have built some of the most energy efficient and sustainable homes in South Carolina and North Carolina. In short, we build homes that we are extremely proud of. Carolina Diversified Builders offers a wide range of modern building systems, including modular, log and timber frame. Now is actually a great time to buy a new home. Interest rates remain low and land prices in North Carolina and South Carolina have dropped dramatically. So if you’ve gone shopping for a new home and only come across dreary cookie cutter developments, seemingly made from an accountant’s spreadsheet rather than a well thought out design, come meet with us. We can show you the homes we have customized, as well as the latest floor plans and designs for vacation homes, retirement homes, single-story ranch designs, two-story homes and more. We also have the know-how to make your new home in South Carolina or North Carolina the most energy efficient on the market. Many of our clients save as much as $2,000 a year in energy costs compared to their neighbors. That’s money that can be spent on vacations, hobbies and more. Should you become a client of Carolina Diversified Builders, I know that you will love your new home. That’s our promise. So please browse through our website. If you like what you see, please contact us.